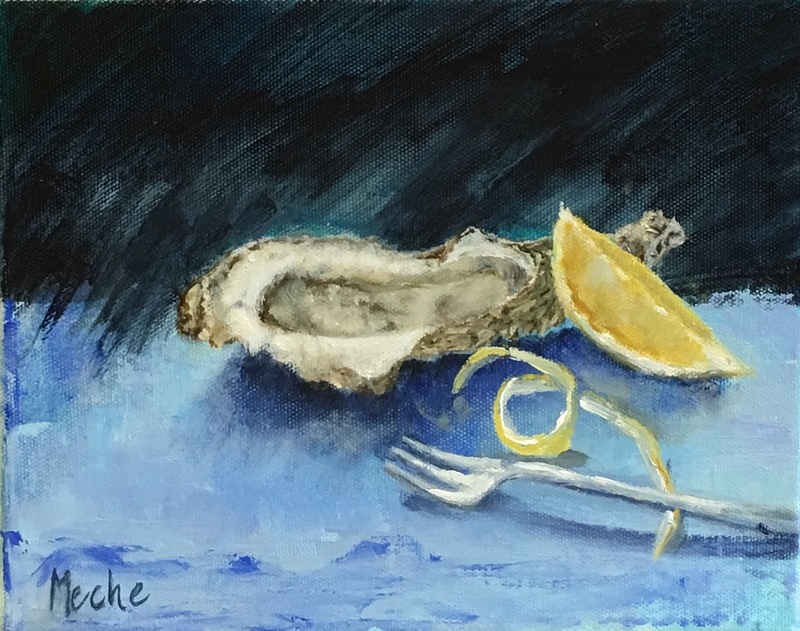 Oyster Oil Painting on Canvass, "Delicacies Await", 8x10, by Mercedes Franklin. Private Collection. As you probably know Oysters are some of my favorite things. They are like the sparrow in a coal mine in regards to the health of the marsh lands & bay waters that surround them. These paintings have become my lab for experimentation with colors. The neutral hues of the Oyster lends itself to be wrapped in all shades! I used brushes, palette knife & oil pastilles on this canvass. Enjoyed every minute of it!